Tennis is one of the most popular sport in Olympics. World’s top tennis stars come to represent their country at Olympics. At Beijing 2008, Rafael Nadal won the Men’s Singles, while the Williams sisters triumphed in the Women’s Doubles. 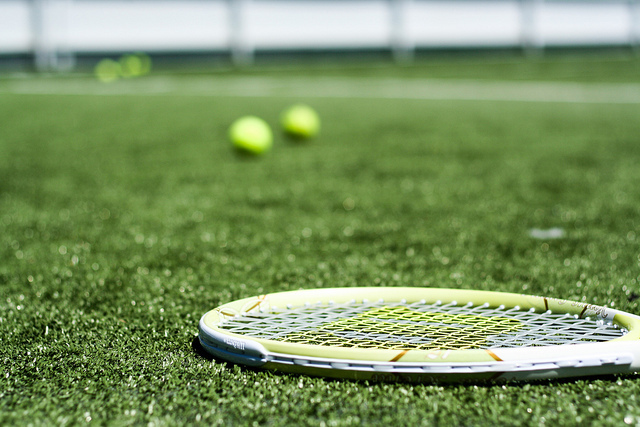 This year since Olympics are held in London, players will have a face off on the grass courts of Wimbledon. There are five events held for this sport : Men’s Singles, Women’s Singles, Men’s Doubles, Women’s Doubles and Mixed Doubles. Each country can send a maximum of 12 athletes – six men and six women across all events. Maximum of four athletes can participate in each Singles event. All the Best to all! Give it your best shot!